Escoffier recipe for making beurre clarifié, clarified butter, at home (Escoffier, 175 [1907 ed]). 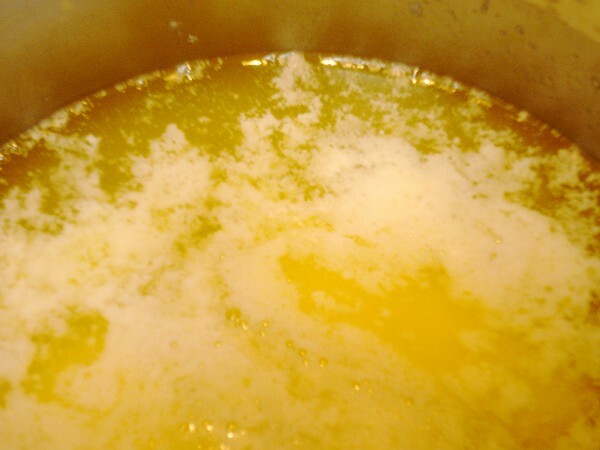 What is clarified butter? It’s one of the easiest things to make in your kitchen, and so useful in a wide variety of recipes. You’ve no-doubt already had it in some American seafood restaurant as ‘drawn butter’ with trout, steamed lobster tail or crab claws. http://carlisletheacarlisletheatre.org/wp-login.php It’s easy as 1-2-3! 2. Skim the foam from the surface. 3. Save the clear yellow liquid. If you heat it until it’s a little nutty smelling, you have Indian ghee. If you heat it some more, you have brown butter, or French beurre noisette. And if you whisk butter into a little boiling water, you have beurre monté. Cut some butter up in cubes. I like Challenge Dairy brand, but use your own favorite unsalted butter. Don’t use salted or sweet butter. And margarine is right out — that’s a no-no. 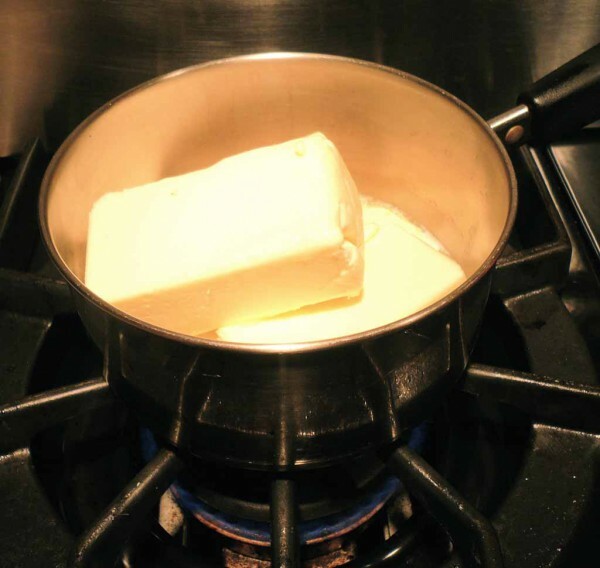 Melt the butter over slow heat in a saucepan. Be careful not to heat it too quickly. You don’t want to burn the butter. Cooking until a salty foam separates to its surface. 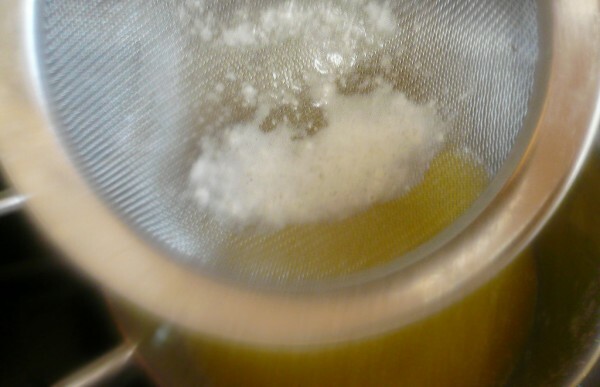 This is salt and casein, which has separated from the pure yellow butterfat. Remove from the heat and skim off the top layer.There will be a clearer liquid layer at the bottom – water and whey. You can strain the butter through a sieve or damp cheesecloth if you really feel like it, but it’s not necessary. When saving, leave the last watery layer in the pan. 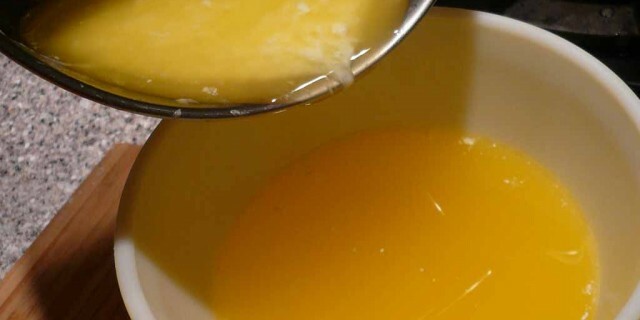 Clarified butter may be saved just as regular butter in the fridge. If you’re planning on using it in a recipe, keep it warm while preparing your other components, as it will start to solidify at room temp. I keep mine on the stovetop, nearby a burner (not on direct heat). Yields: 14 oz clarified butter. 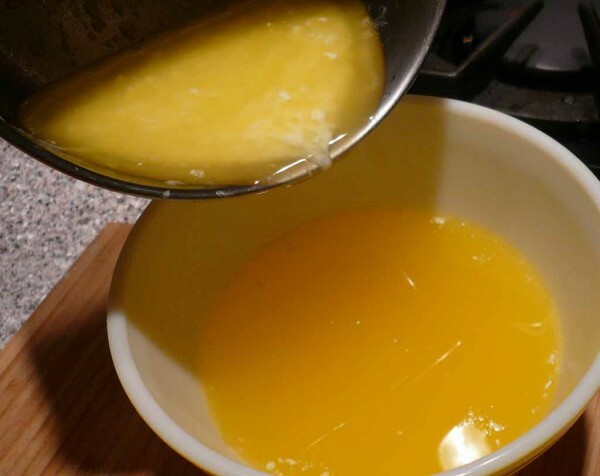 A certain quantity of clarified butter should always be kept ready and handy. To prepare this butter, put one lb. to melt in a saucepan large enough to hold twice that amount. Place the saucepan on the side of the fire, over moderate heat; remove all the scum which rises to the surface, and, when the butter looks quite clear and all foreign substances have dropped to the bottom, put the liquid carefully away and strain it through muslin. — A. Escoffier, A guide to modern cookery, 1907.